On the list of must-see Romania are many great places that should be on every traveler’s bucket list. With a diverse landscape, cities with beautiful architecture and traditional villages, Romania is the perfect destination. So, which ones are the places that should end up on your bucket list? And how can you explore them better, you ask? Well, just read on. Romania has a variety of landscapes. High mountains to wide plains, seaside beaches and the second largest delta in Europe, there is something for everyone. Hence, a nature tour includes a little bit of hiking, wildlife watching, and gorgeous landscapes to be immediately captured into Instagram worthy pictures. The first on the list is undoubtedly the Transfagarasan. A high alpine road crossing the tallest mountains in Romania, it winds in hairpin curves and reveals wonderful mountain scenery, traditional cabins, glacier lakes, and waterfalls. It is no wonder that Transfagarasan was named the best road trip in the world by Top Gear. Transfagarasan is best experienced through a private tour in which a guide will tell you all about its history and indicate the most beautiful spots for sightseeing. The high alpine road can be experienced on a one day trip from Bucharest or included in a larger tour customized to fit your interests. 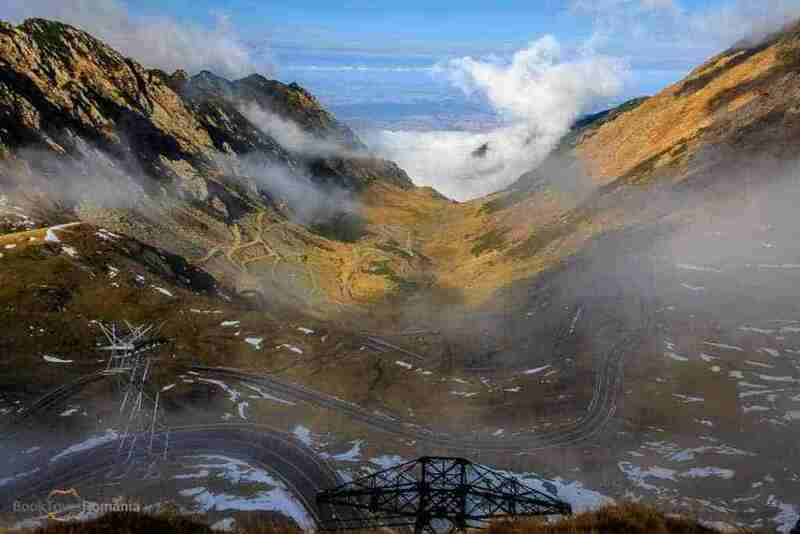 Transfagarasan Road Tour from Bucharest – One day trip is for the busy traveler that doesn’t have much time to spend in Romania but want’s to have the best experience. This tour includes the most popular landmarks like Curtea de Arges Monastery – the burial place for the Romanian Royal family, Poenari Fortress – a medieval fortress considered to be the real Dracula Castle, Transfagarasan Road with Vidraru Lake and Dam – the highest built dam in Romania and Balea Lake – a glacier lake and the highest point of the road. 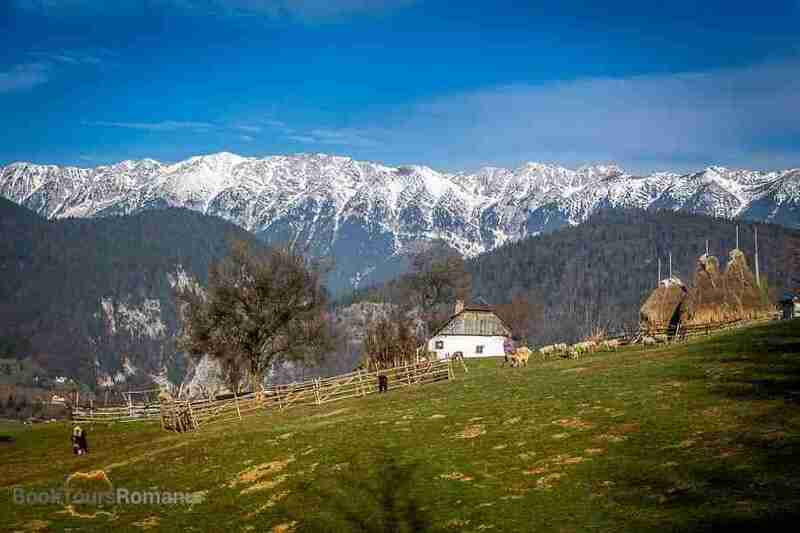 3-Day Tour Glimpse to the Romanian Artisans and Traditions. During summertime, this extended tour includes the Transfagarasan Road along with many other places that best show the Romanian craftmanship and its artisans. A well-rounded tour that offers pottery workshops, UNESCO sites, medieval cities and nature exploration. Romania’s Hotel of Ice Tour from Bucharest is a four days tour during wintertime that appeals to the novelty-seeking traveler. Experience sleeping in a hotel made entirely out of ice (yes, even the beds) in a magical mountain landscape. The hotel is built every year in Balea Lake, the highest point of Transfagarasan road. Babele (The Old Ladies) and The Sphinx are one of the Carpathian Mountains main landmarks. 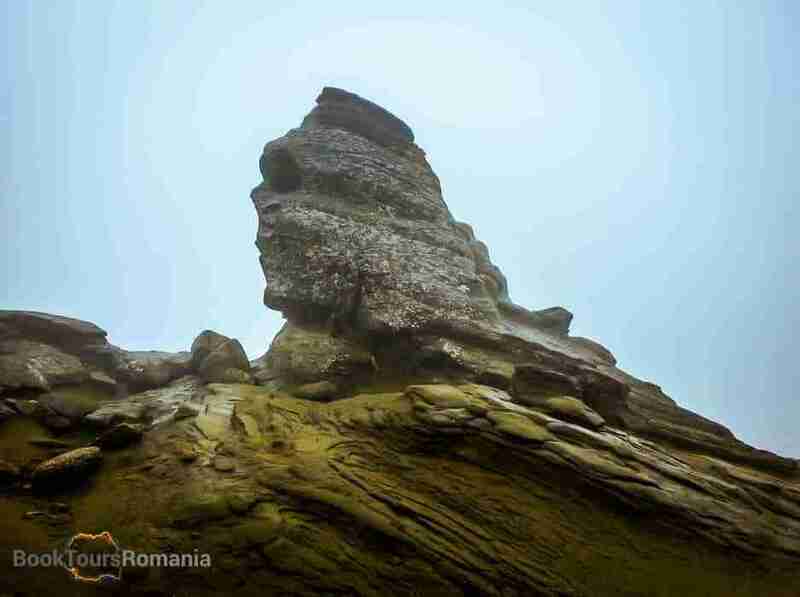 Situated on a wide plateau, on top of Bucegi Mountains, the interesting looking rock formations seem constructed by aliens or carved by hand. A tour in the Bucegi Mountains will not only give you the opportunity to look the Sphinx in the eye but also marvel at the spectacular mountain scenery. Bucegi mountains are best discovered in a day trip from Bucharest in which travelers will have the opportunity to discover Bucegi mountains both from their foothills and from high above. You’ll start with a visit to the beautiful Peleș Castle, the most beautiful castle in Romania. A cable car will take you up to the top of the mountain for an easy hike and a panoramic view over Prahova Valley. Here the Sphinx and Babele await to take their picture. Deep in the heart of the mountain, the 7 ladder canyon welcomes adventurous travelers seeking fresh air and impressive landscape. 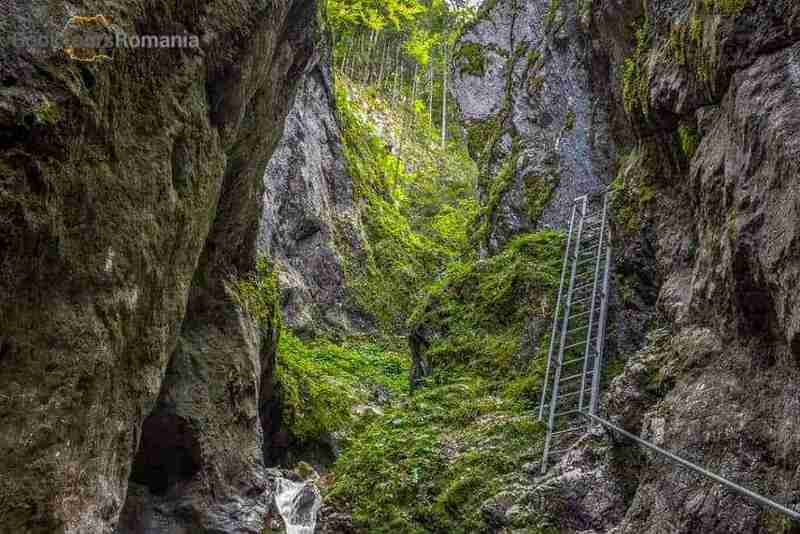 A series of ladders and bridges take you along the narrow canyon and under the waterfall. 7 ladder canyon should be visited only with sports shoes and an open appetite for adventure. It is best served in a two-day hiking tour that also gives a glimpse into the fascinating land of Transylvania. 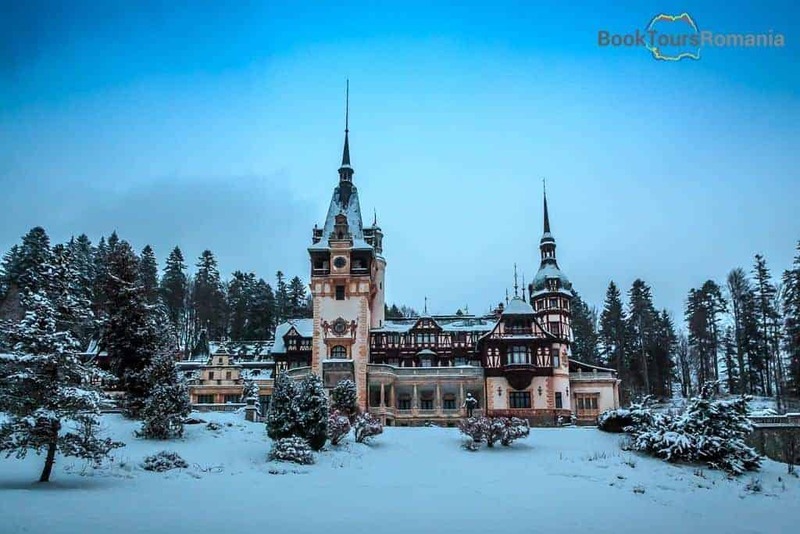 In this tour, you will discover Sinaia, Romania’s most famous mountain resort, Peleș Castle, hike the 7 ladder canyon and get a walking tour of the wonderful medieval town of Brașov. Maybe you’ve heard about the medieval cities of Romania, or maybe they are already on your travel list. Romania’s cities are diverse, with specific architecture and flair depending on the region. 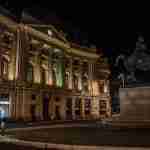 Bucharest is a busy town, filled with options for nightlife and both culture. 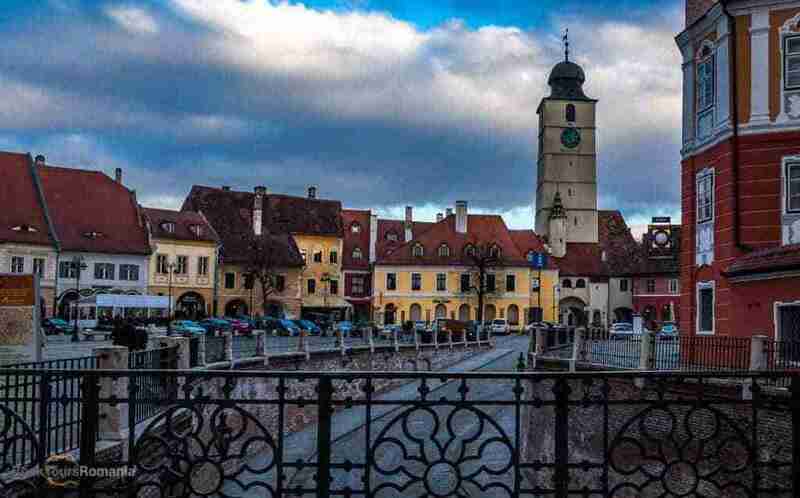 The towns of Transylvania have beautiful buildings, are rich in history and offer the perfect restaurants to savor a traditional Romanian meal. Tranquility, fresh air, and beautiful views are certain in the mountain towns. They are also a perfect starting point for numerou nature trips. Romania’s capital city is an architectural mix where traces of communism and monarchy and modern buildings coexist. Here the grandeur of The Parliament House, second largest administrative building in the world, compliments the narrow streets of the old city, now the place to go for nightlife and fancy coffee places. The busy boulevards open into lush parks like Herăstrău and pass important landmarks like the Arc of Triumph. 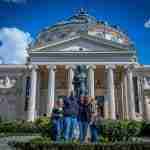 Bucharest is best explored in a sightseeing walking tour. 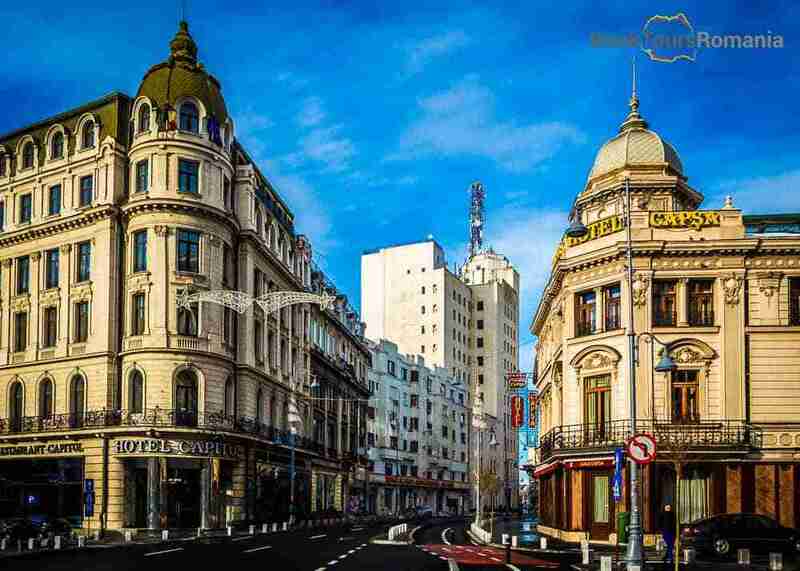 Apart from the old city, you will also visit Hererăstrău, Bucharest’s largest park, Victoriei Avenue, the Romanian Arch of Triumph, University Square, The Village Museum and so many more landmarks. 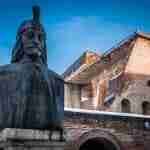 Bucharest City Tour: Visit Dracula’s Tomb at Snagov and Mogosoaia Palace is another popular tour. Besides the main sights of the city, you will also visit the surroundings of Bucharest. If you seek more nature, a Bucharest Excursion to Comana Lake is for you. After a panoramic city tour of Bucharest exploring the most important sights of the city, you will head towards Comana Natural Park, the second most important natural reservation in Romania after the Danube Delta. With a landscape specific to a delta, Comana Lake is suitable for picnics, bike rides, fishing, boat tours, and canoeing. Moreover, Bucharest is a great starting point for many one day tours, including one to Transfagarasan Road. The medieval city at the foothills of the mountains will charm any traveler. With streets filled with history, chic cafes and artisanal shop, Brașov is a treat for the eyes. But it’s not only a destination for the culture seeking traveler. It also appeals to the ones searching nature and wildlife. There are numerous hiking opportunities in Brașov. 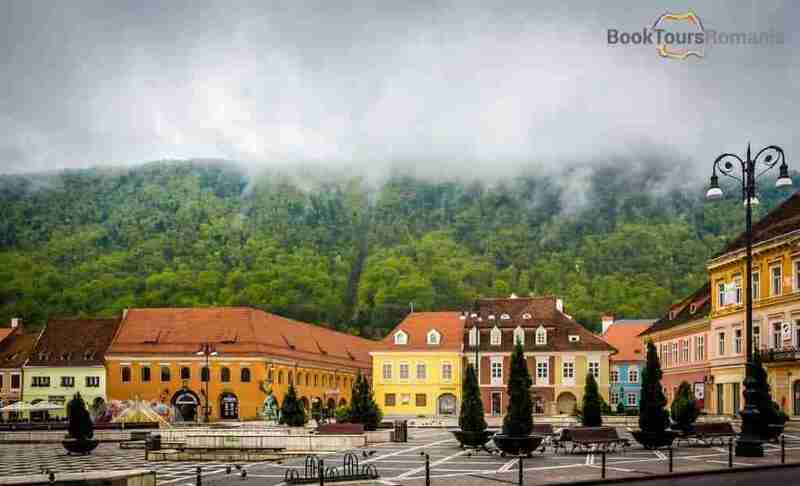 Besides being an attraction in itself, Brașov is the perfect starting point for some memorable day trips be them at Dracula Castle, Râșnov Fortress, 7 ladder canyon, Peleș Castle or Piatra Craiului Mountains with their spectacular Zărnești Gorge and traditional mountain villages. 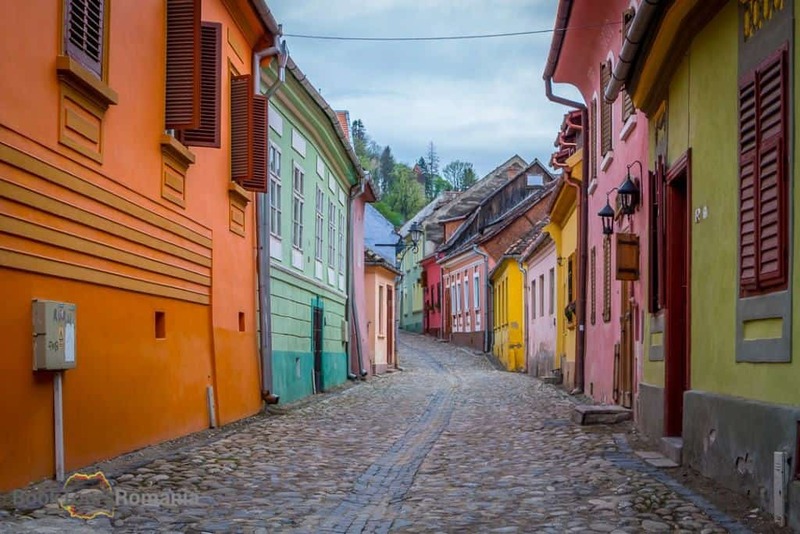 Brașov is best explored during a walking tour with plenty of stops at the most important landmarks like the Black Church, The Old Town Hall, The Council Square, the old fortifications etc. In 2007 Sibiu became the European Capital of Culture and the first city in Romania to organize a Romanian Christmas Market. 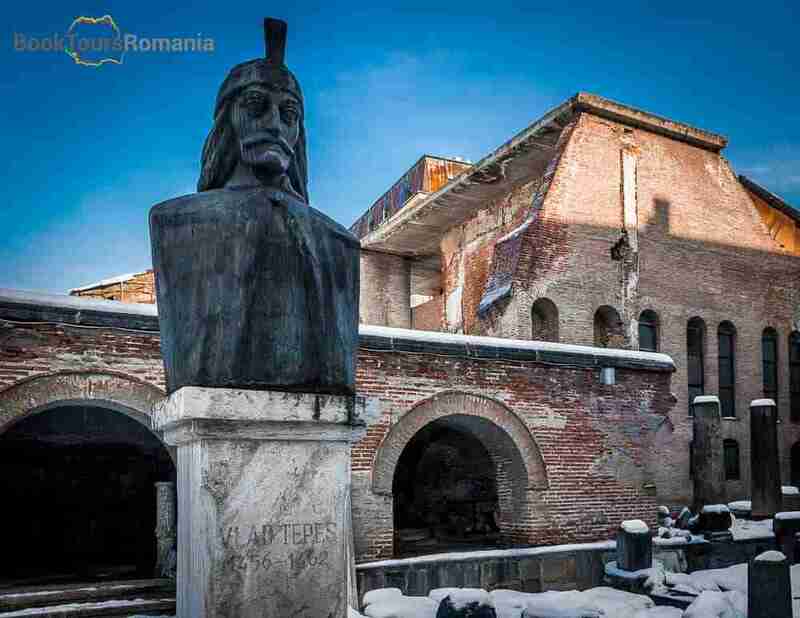 It is by far one of the best medieval cities in Romania and a cultural center filled with history. Founded by the Saxons in the 12th century, the city had beautifully preserved its former fortifications. UNESCO has listed The Great Square in Sibiu as an architectural monument. Moreover, every street in the old town is spectacular in its own way. You can visit Sibiu any time of the year. But during winter the Christmas Market is one of the best in Romania. 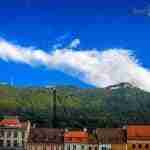 Furthermore, Sibiu is a great starting point for a Transfagarasan tour. 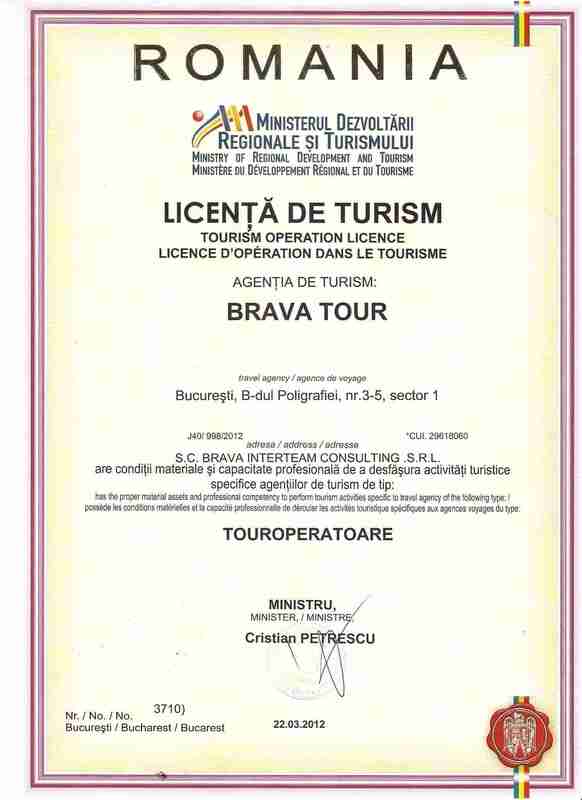 Also for Mărginimea Sibiului, a European Destination of Excellence and an international culinary destination. Smaller than Brașov and Sibiu, Sighișoara has a charm of its own. It is the only currently inhabited citadel in Europe and listed in the UNESCO World Heritage Sites. The old town of Sighișoara is best explored on foot. Just wander its winding streets admiring the colorful buildings and boutiques belonging to local artisans. Going up in the Clock Tower to see the city from above is an absolute must. So is climbing the Scholars’ Stairs. Now, don’t think that you should extend your trip to Romania to several months to discover these cities. Although I highly recommend it. 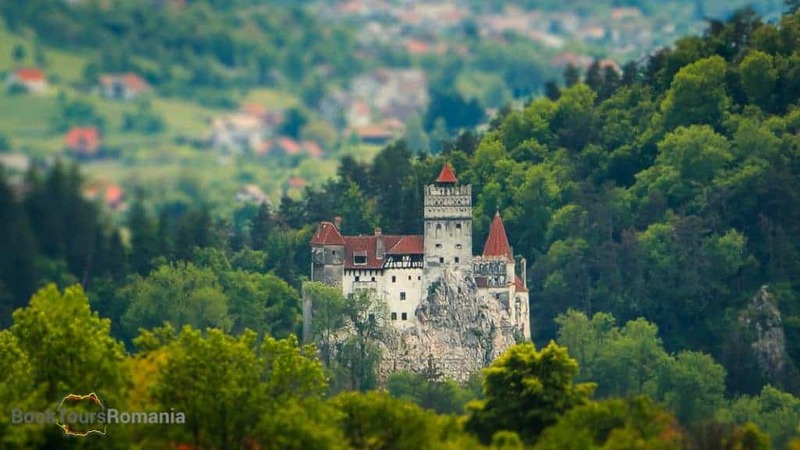 The 3 day Transylvania Tour gives you the opportunity to discover Bucharest, Brașov, Sighișoara, the traditional mountain village of Peștera and Bran Castle. The Transylvania famous landmarks tour takes only four days but is rich in scenery and interesting places. Brașov, Sibiu, Sighișoara, fortified churches of Transylvania, Bran Castle, and Peleș Castle are the main attractions. The Transylvania Winter Tour has its focus on getting you to experience Romania’s best Christmas Markets: Bucharest, Sibiu, Sighișoara, Brașov, Hunedoara. Be warned, Romanians do know how to party and the Romanian winter celebrations are one of a kind.